We are looking forward to welcoming all our new students for the academic year 2019/20. 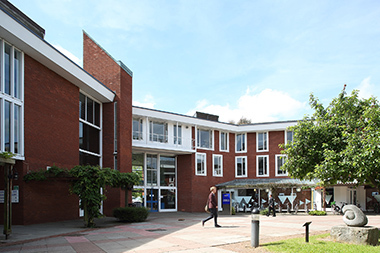 Warwick Welcome Week takes place between the 23rd September to 29th September 2019 and the full programme of events will be available towards the end of August - the week has been designed to enable students to settle in and adapt to life at Warwick before the full teaching timetable starts on the 30th September. The course start date of all new first year undergraduate students will be the first day of Welcome Week (23rd September 2019). The course start deate for all new postgraduate taught students is 30th September 2019, however new postgraduate students will be encouraged to attend activities and events in Welcome Week and students who have attended in the past have given very positive feedback. Please keep re-visiting these pages which will be updated once more details (including timetables) have been confirmed. The Centre for Education Studies is on the First Floor of the Social Sciences building (which is behind the Arts Centre and next to the Library) the Course Administration Office is C1.10 and academics are also nearby, however teaching timetables will include rooms that are in different buildings across the University so remember to allow yourself time to find them during the first few weeks.